The mission of the University Archives is to serve as the repository for official and unofficial permanent historic records of the University of North Carolina Wilmington. Core objectives are appraisal, collection management, and preservation of collections in a wide variety of formats. By providing a broad array of information resources and services--including instruction in archival research --Archives supports the mission of the university and the mission of Randall Library while documenting UNCW's history for current and future generations. UNCW Archives provides access to unique materials requiring special handling and care. Because they are generally difficult or impossible to replace, Archives collections do not circulate and cannot be removed from Archives. Faculty, staff, students, and other researchers may visit Archives in Room 2008 Randall Library. Appointments to conduct research are strongly encouraged. Contact archives for research inquiries. Photocopying and digitization services are carried out in accordance with U.S. and International Copyright laws and treaties. Photocopying and digitization requests may be denied if materials are fragile. All materials are part of the documentary record of the campus, from 1947 to the present. Books and Serials: Books, reports, and periodicals produced by or exclusively for UNCW or one of its divisions or colleges. Manuscripts: Unpublished paper documents such as correspondence, meeting minutes, brochures, promotional materials, guides, handbooks, newsletters, photographs, and more. We do not collect confidential materials such as student records, grades, or medical records. How to Find Information in University Archives. Randall Library offers a variety of digital collections that provide access to images and full text of unique materials and documents held by UNCW Archives and Special Collections. Digital collections allow users to "visit" our collections online instead of viewing originals onsite. Buildings and Landmarks Campus buildings and landmarks, along with the history of the buildings and biographies of namesakes. Images of UNCW This database is under construction.Photographic prints, slides, and negatives from 1948 to the present day. Focus is People on Campus. About 1000 images. 1. Students, faculty, staff, and campus visitors 2. Student groups such as fraternities, sororities, student media, and classes, and 3. Student athletes and athletic contests. Internet Archive: UNCW Collection Fully digitized, searchable versions of UNCW publications from 1947 to the present, including the Fledgling yearbook, UNCW Magazine for alumni and friends, Campus Communiqué faculty and staff bulletin, the Student Handbook and Code of Student Life, course catalogs (1947-Present), and the UNCW student newspaper, the Seahawk. UNCW Athletics Awards Featuring the achievements of student athletes, this collection includes about 120 certificates, trophies, plaques, and artwork in Trask Coliseum and Archives. Enter your topic in the search box for the Archives and Special Collections Online Database. This database contains descriptions and abstracts of the physical collections. You will find descriptions of manuscript collections, poster collections, books, and more. There are also full-text oral history interview transcripts of retired faculty. Most of the other resources are not yet full-text linked. Search for your topic and make an appointment with the Archivist to view the collections. Note: Some materials related to your search may be in Special Collections. Special Collections items will come up in your results and may be relevant to your topic. Enter your topic in the search box for Archives materials in the Randall Library Catalog to find books and other items in Archives. Much of what you find will not be full-text linked but will be descriptions or catalog records only. Make an appointment with the Archivist to view the materials. Note: some materials relevant to your search may be found in the General Collection and/or in Special Collections as well as Archives. Try searching all locations. Graduate theses dissertations, and honors papers. Searching the Randall Library Catalog will include some CDs, manuscript collections, and DVDs in Archives. Consider visiting these pages. They range in topic and breadth. 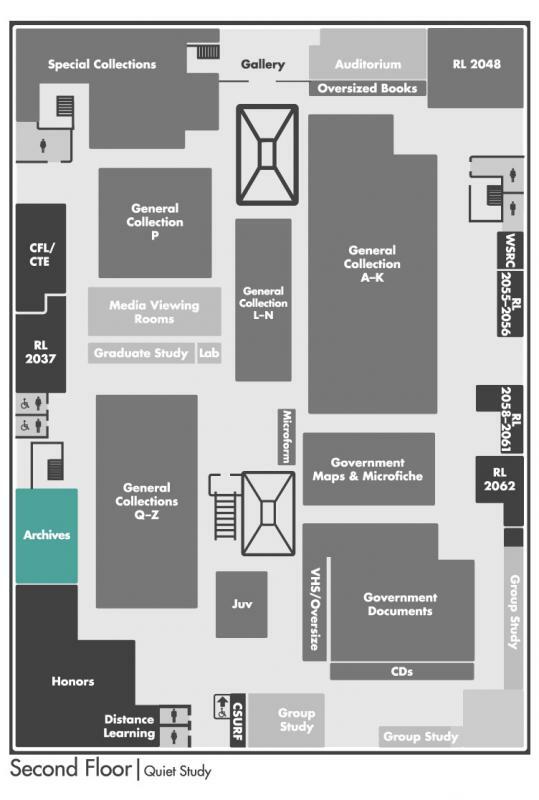 Make an appointment with the Archivist to view the collections and for research assistance. CLOSED APRIL 15-19, 2019. OPEN MONDAY, APRIL 22. Open by appointment, M-F, 9 am - 4 pm, when classes are in session.